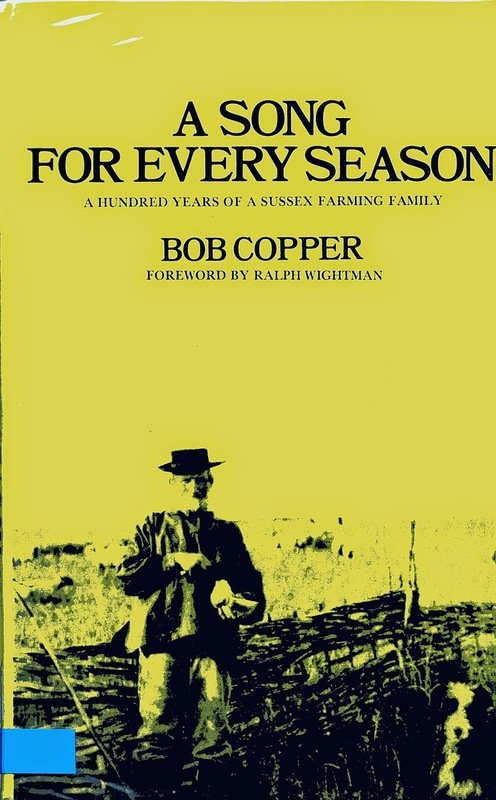 Three generations of the Copper family of Rottingdean are vividly recollected in characteristic anecdotal style in Bob’s (1972) A Song for Every Season: A Hundred Years of a Sussex Farming Family. 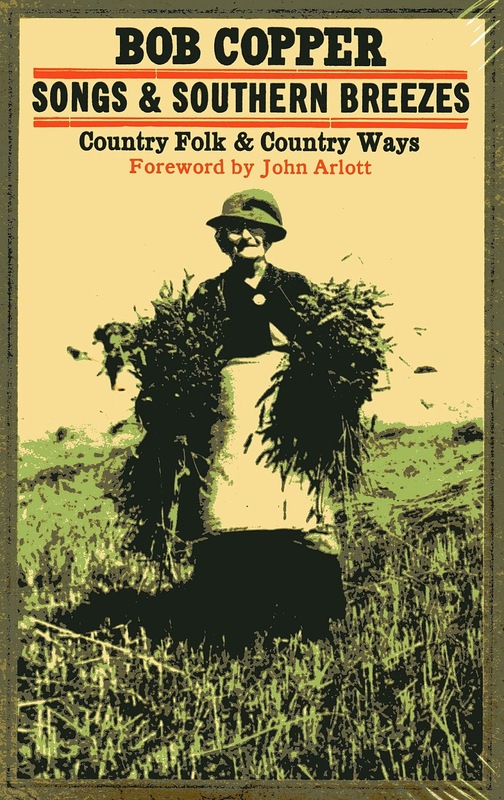 While the book is part eulogy for a vanishing rural way of life that was charted out by the rhythmic seasons of the year, the arduous labouring conditions for the farmers and shepherds of the time are never idealised. The scenes of communal singing over pots of ale in the smoky tap-rooms of Sussex alehouses are nonetheless conveyed with warmth and joy, and levied with not a little humour. The epilogue describes the opening up to a wider audience in the 1950s of the Copper family’s repertoire of traditional songs, through BBC broadcasts and by appearances at festivals and concerts sponsored by the English Folk Dance and Song Society. In the 1950s the BBC requested Bob to record for posterity old country dialects and traditional songs. Armed with his tape-recording equipment Bob journeyed in ‘The Major’, his 1932 Morris Major car, extending his search to Hastings, North Chailey, Fittleworth and Angmering and into rural Hampshire. His experiences of coaxing out and capturing the extemporised performances of traditional singers find their way into his (1973) book, Songs and Southern Breezes: Country Folk and Country Ways. The drawings of the locations that embellish and enrich the text are the author’s own. 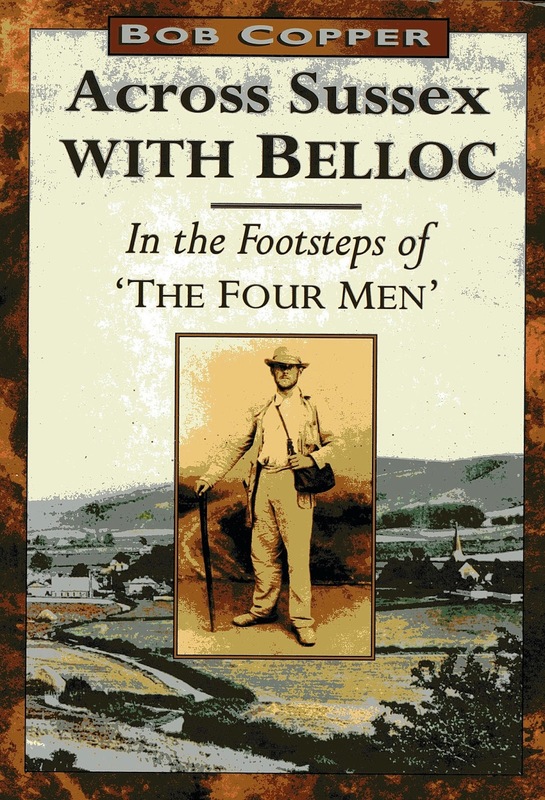 But it was a journey across Sussex by foot, from Robertsbridge to Harting, for which Bob was later known and which is documented in his (1994) Across Sussex with Belloc: In the Footsteps of the ‘Four Men’. As the title suggests, Bob was following the path taken in October 1902 by Grizzlebeard, The Sailor, The Poet and Myself, characters in Hilaire Belloc’s farrago, The Four Men. Bob completed the walk twice, in 1950 and 1988, visiting on the way the many famous pubs featuring in Belloc’s tale, including the George Inn, Robertsbridge; Bridge Inn, Amberley; Fountain Inn, Ashurst; Cricketers, Duncton; and the Foresters Arms, Graffham. Bob’s great-uncle Tom was landlord of the Black Horse, Rottingdean and later of the Kings Head, Chailey. Older brother Ron took the Queen Victoria, Rottingdean while Bob was at some point licensee of the Central Club, Peacehaven, and landlord of the H. H. Inn, Cheriton, Hampshire. 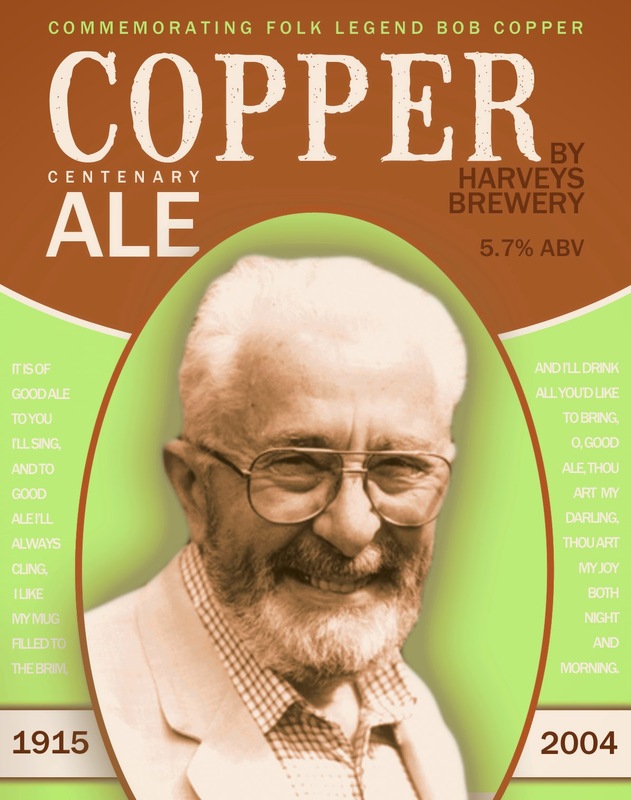 Later in life Bob would walk from his home in Peacehaven to the Ram Inn, Firle, imbibing four pints of Harveys Best Bitter before setting out on the return journey, a round trip of fifteen miles. 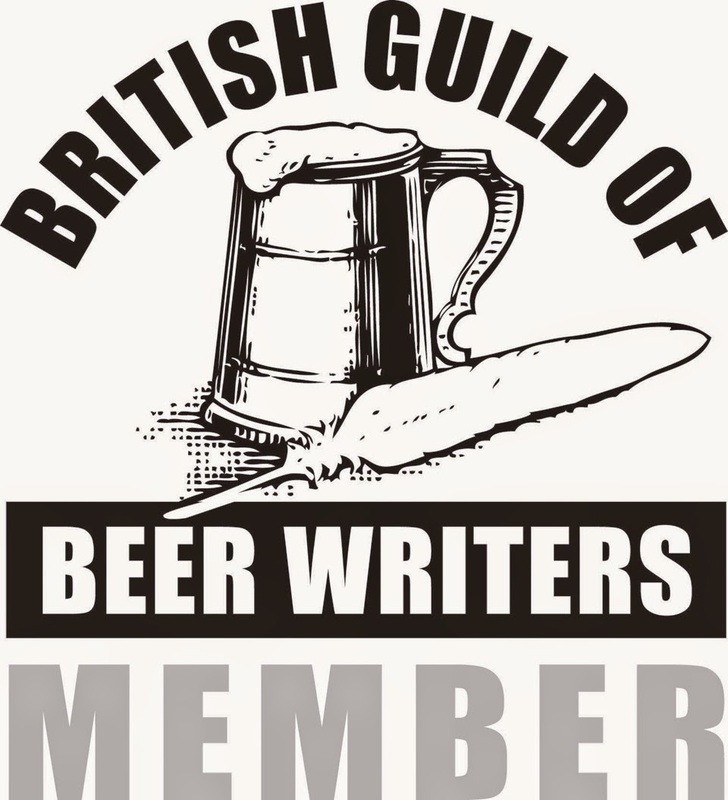 The Bevy: More than a Pub!